Filing for Chapter 7 bankruptcy or Chapter 13 bankruptcy in Mesa, Phoenix, Tucson, Peoria, Glendale or Tempe, Arizona may eliminate most kinds of unsecured debt. 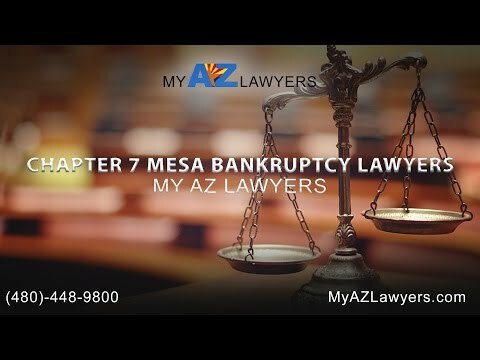 Filing for Chapter 7 bankruptcy protection in Tucson, Phoenix, Flagstaff Arizona will only be possible for those who have an income that is below the median for their state and don’t have non exempt assets that they wish to protect. Credit cards, unsecured loans, payday loans, medical debt, repossession deficiencies, and unpaid household bills can be eliminated by filing a chapter 7 personal bankruptcy. However, not all debts are automatically wiped away when you file for Chapter 7 bankruptcy protection. It is important to ask an experienced bankruptcy lawyer to get clarification as to which of your debts may be able to be eliminated if you choose to file for bankruptcy protection in Arizona. If you have additional questions about which debts are eligible to be eliminated through chapter 7 bankruptcy or through chapter 13 bankruptcy, you can either visit one of our Tucson, Mesa, Gilbert, Glendale, and Phoenix, Arizona area bankruptcy offices for your FREE consultation or you can set up a FREE Phone Consultation with one of our helpful Phoenix or Tucson bankruptcy lawyers and bankruptcy attorneys. Schedule you free consultation today by calling (480) 833-8000 or (520) 306-8729 or by filling out our online form.